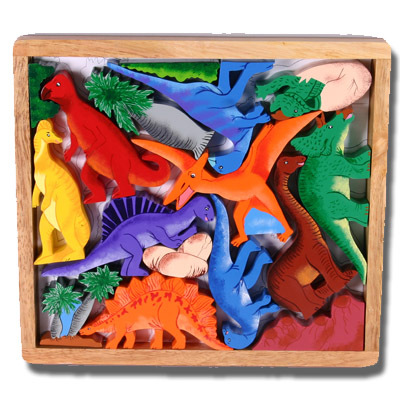 Play Tray Puzzle - Dinosaur. 17 pieces including dinosaurs rocks and vegetation. Tray includes character outlines and names for easy pack up.